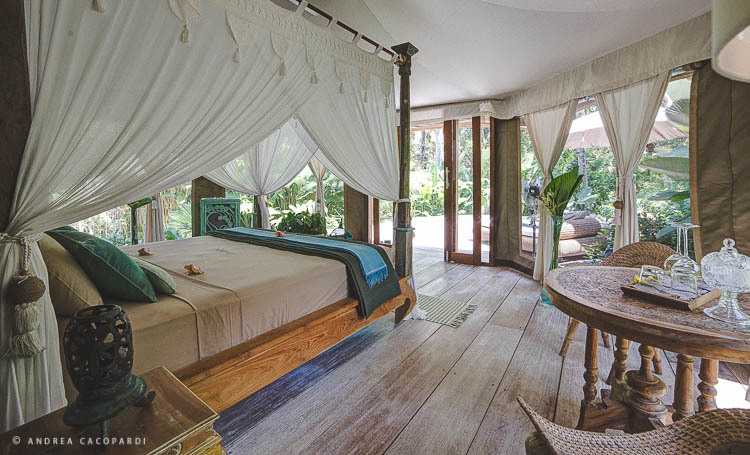 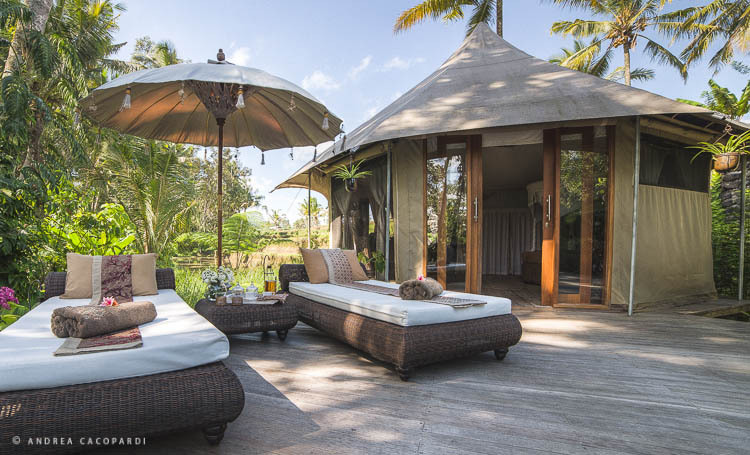 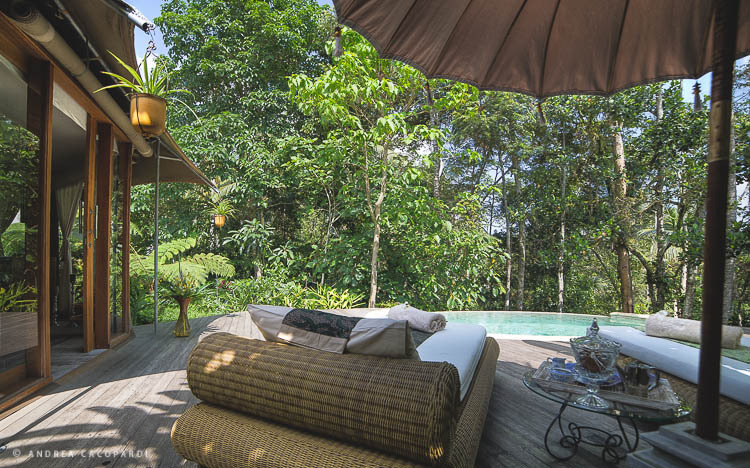 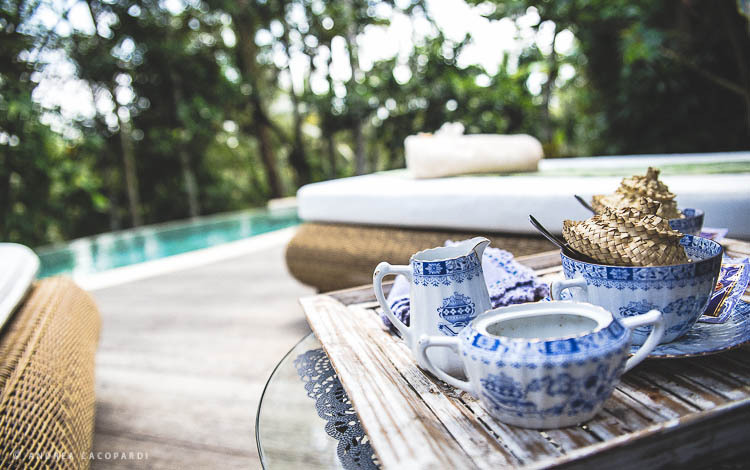 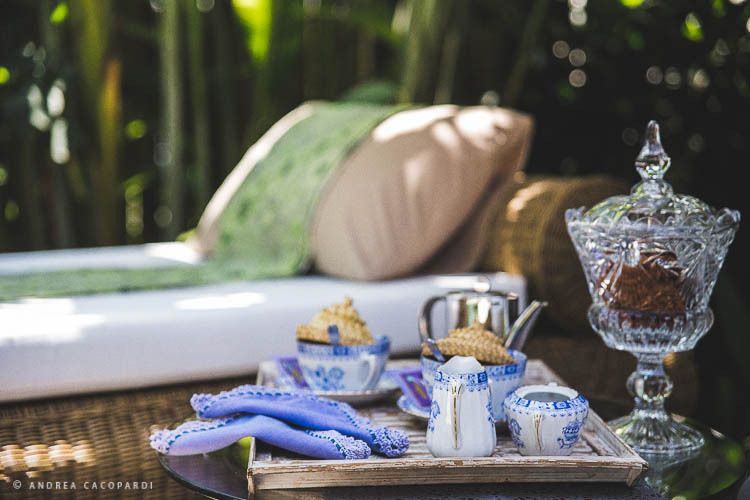 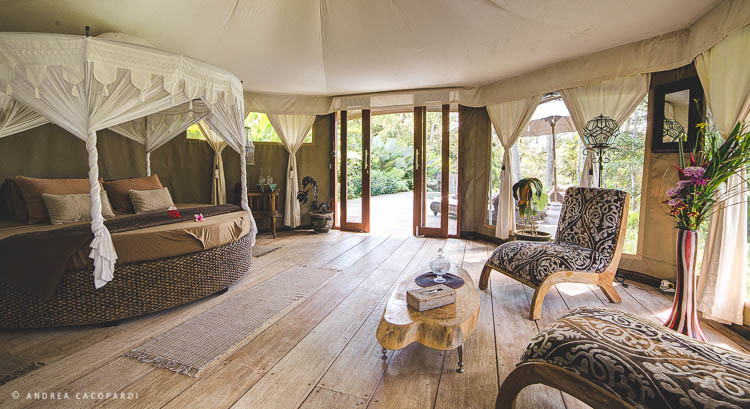 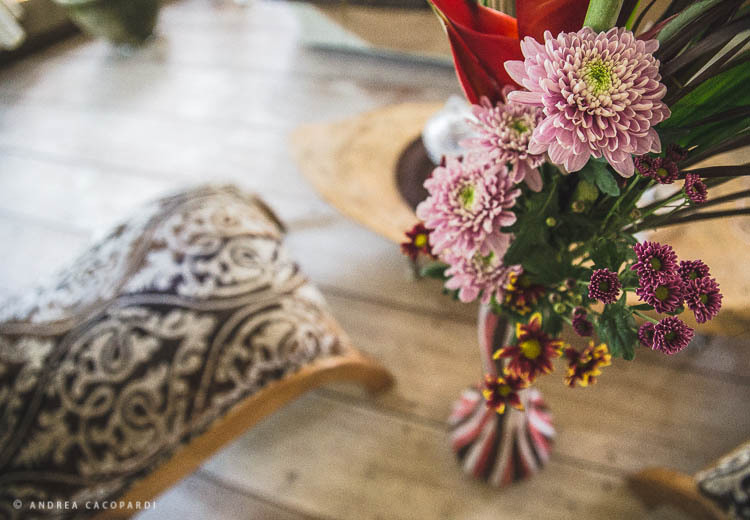 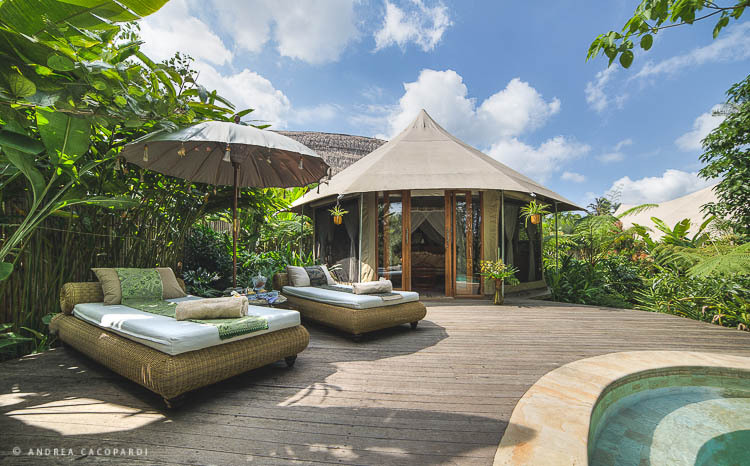 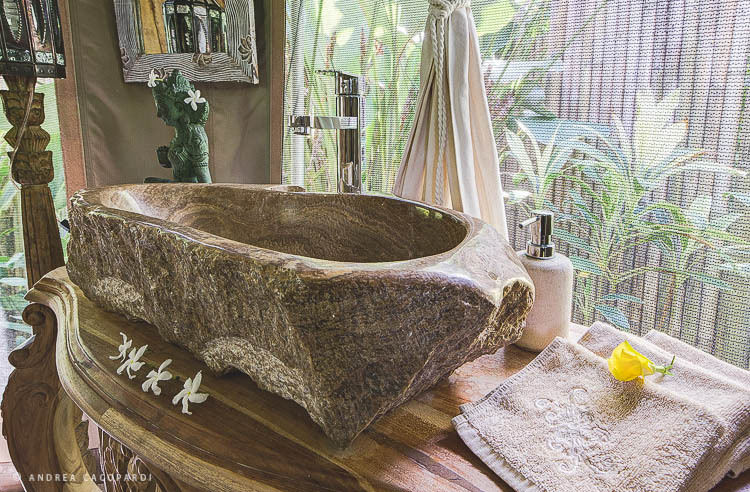 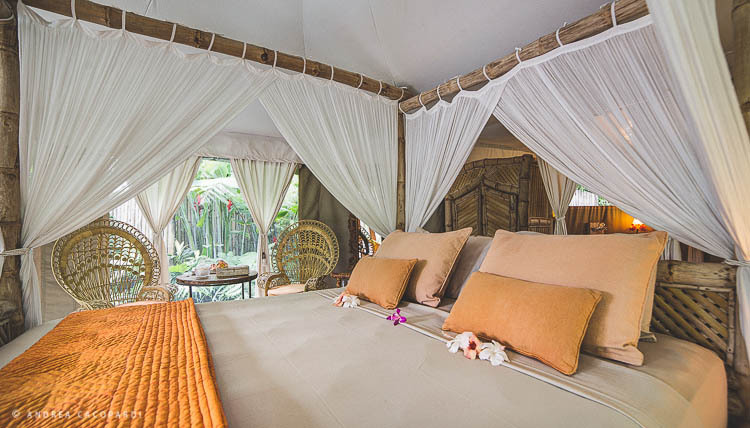 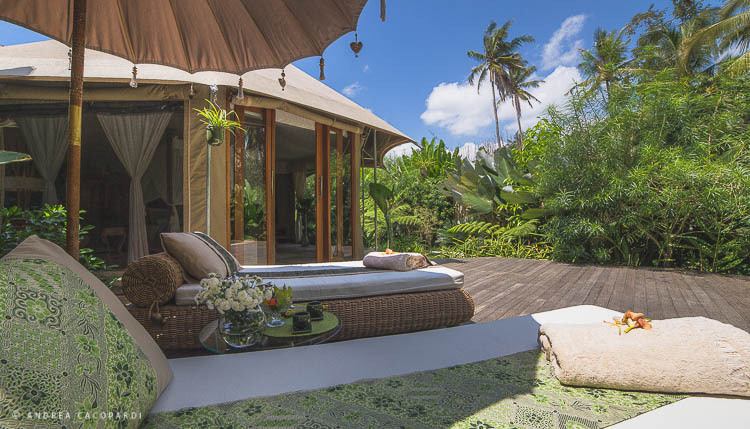 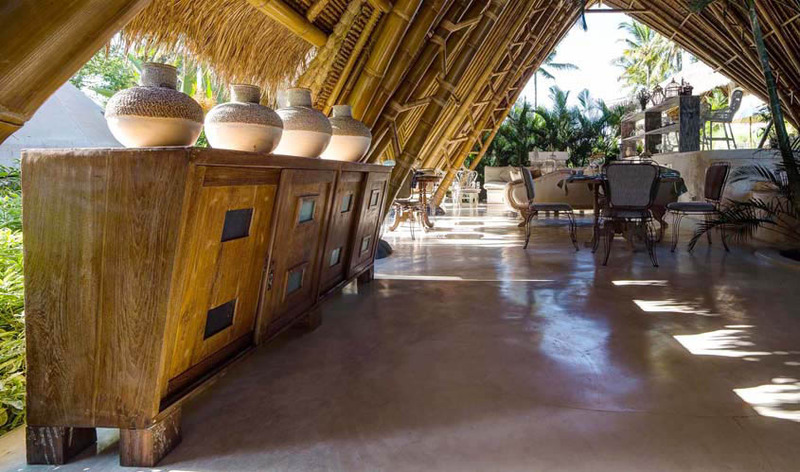 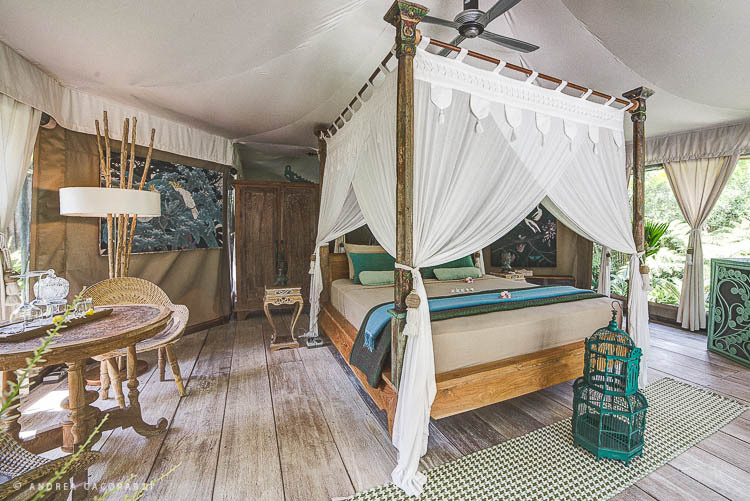 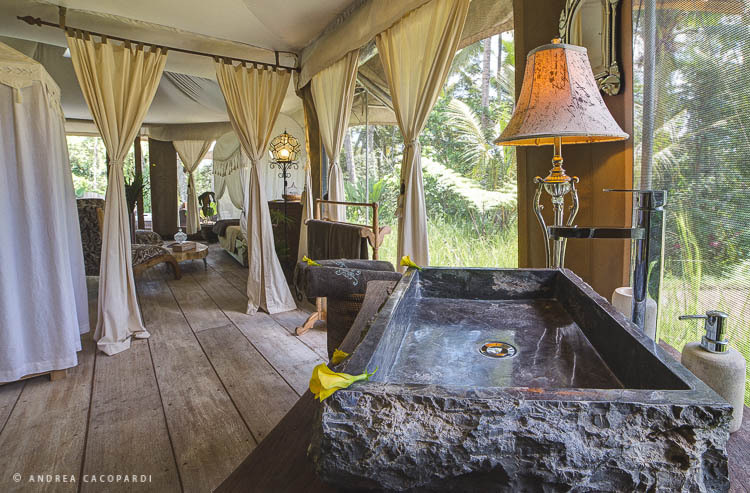 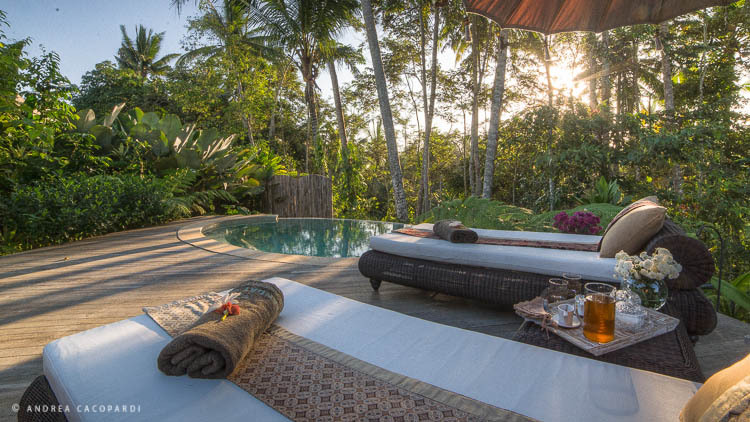 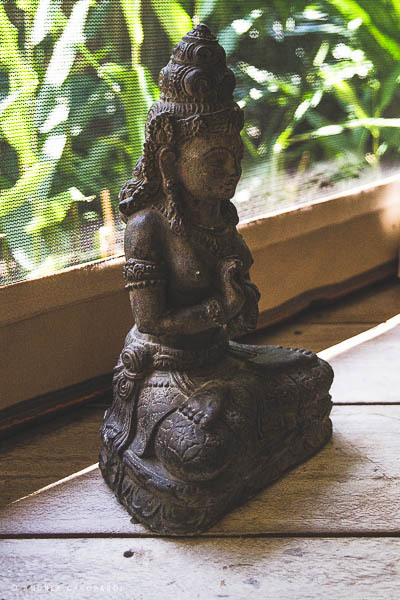 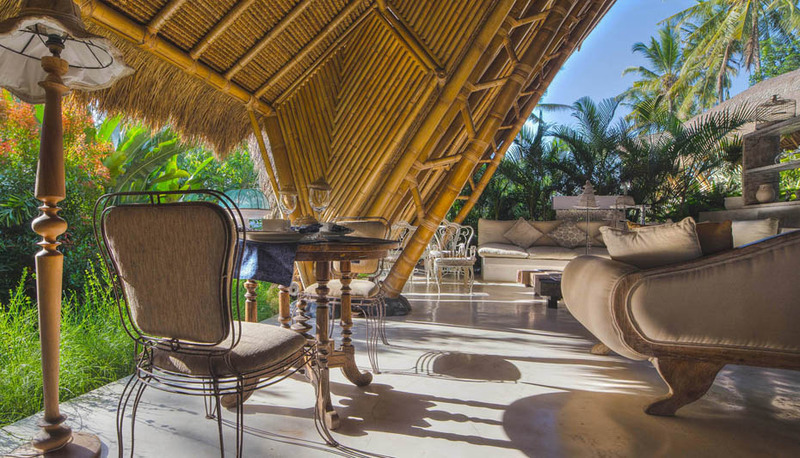 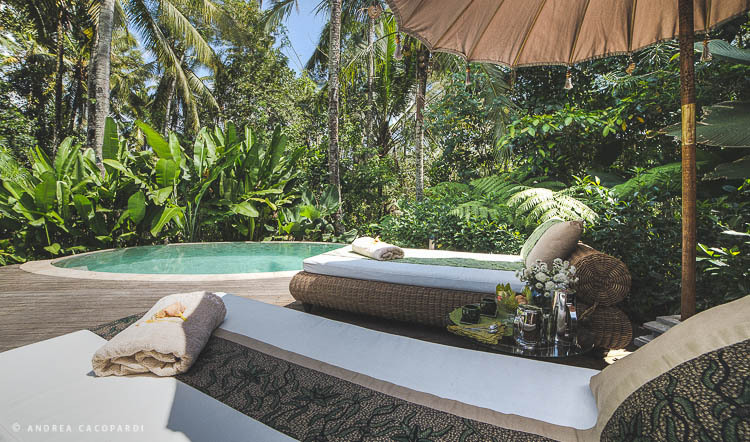 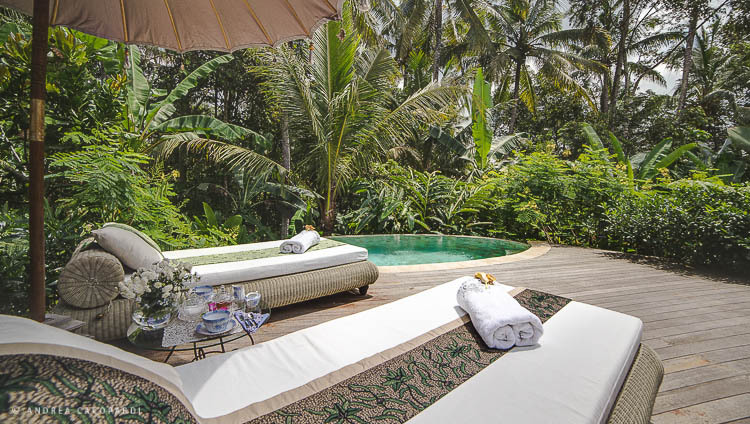 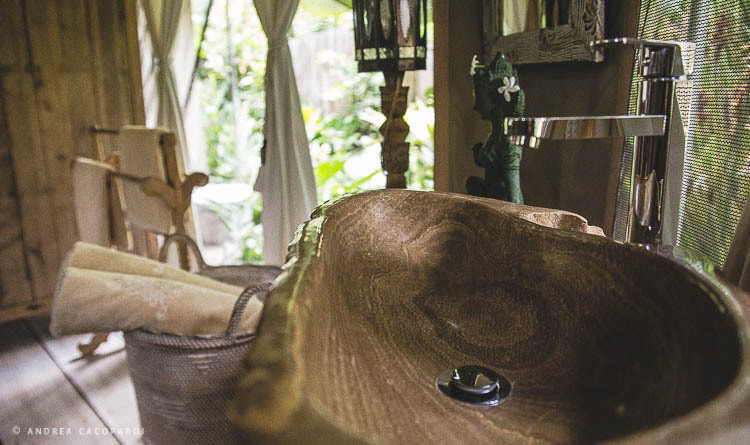 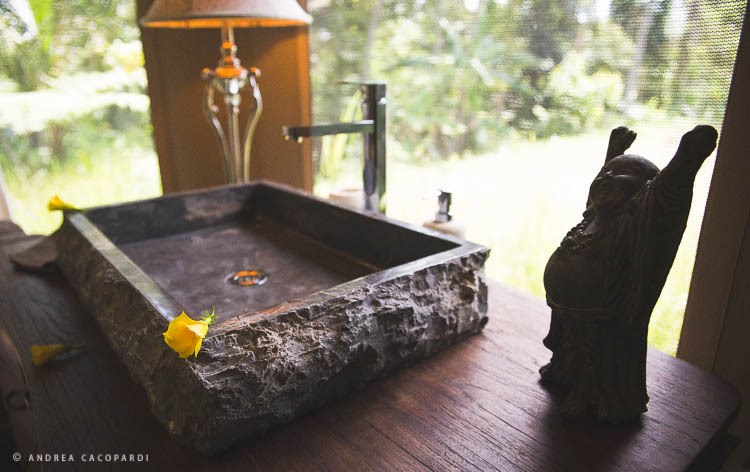 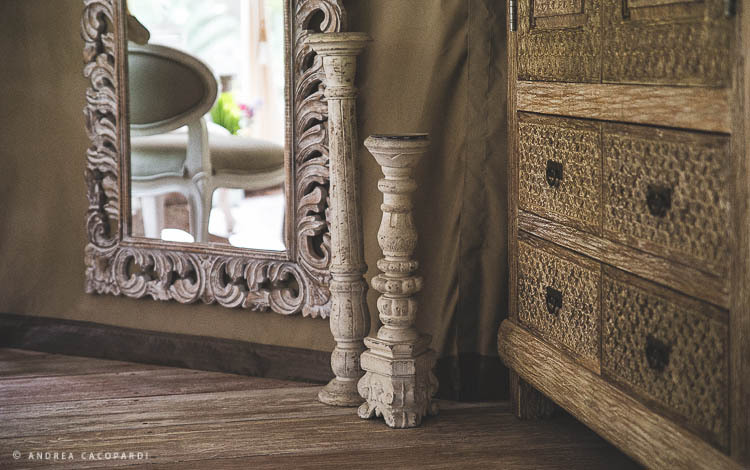 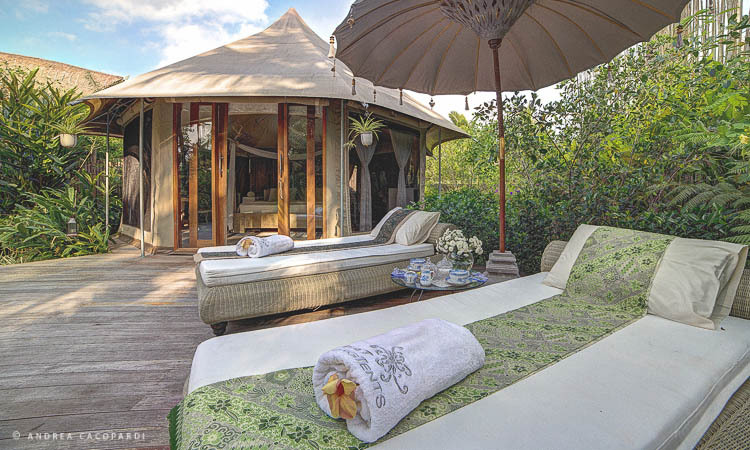 The villa Ubud Tenda is located only 3km from Ubud which is the cultural center of Bali. 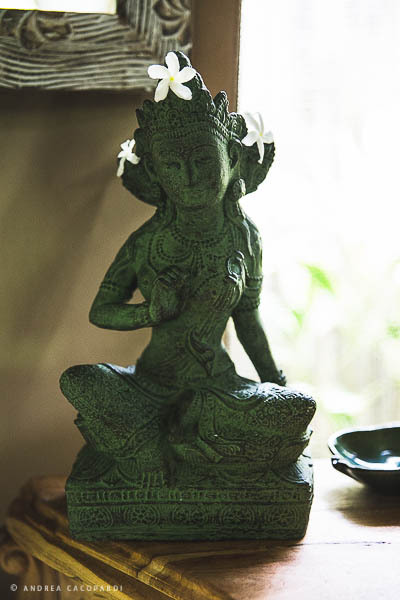 If you are interested in painting, sculpture, or simply art in general you are at right place. 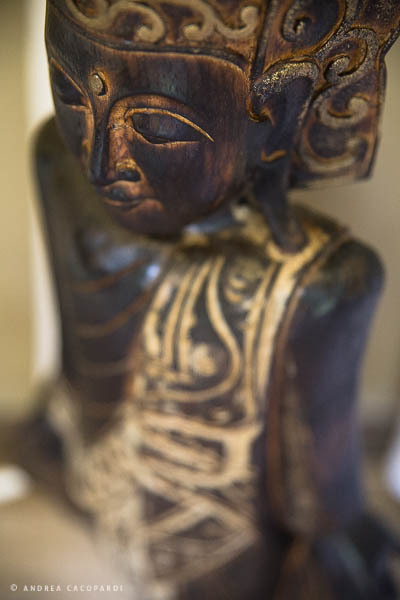 Many attractions are nearby like art galleries, markets, museums etc. 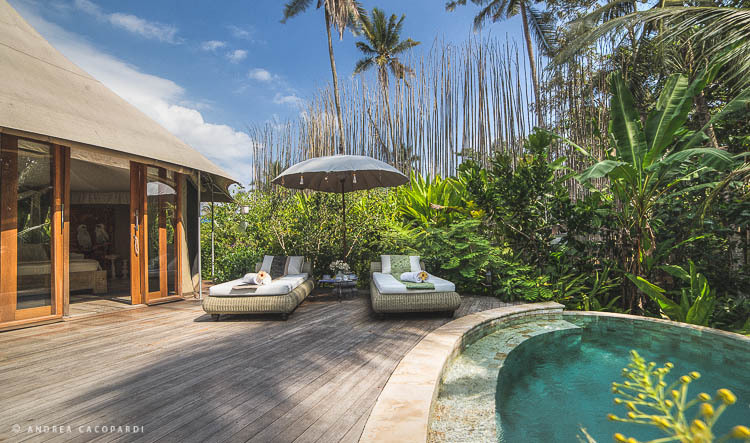 The villa Ubud Tenda is part of a complex of five suites each consisting of a bedroom, the total capacity of the complex is 5 luxury suites. 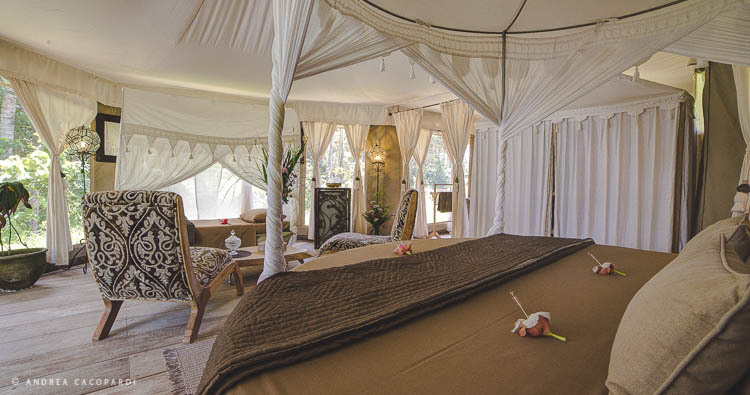 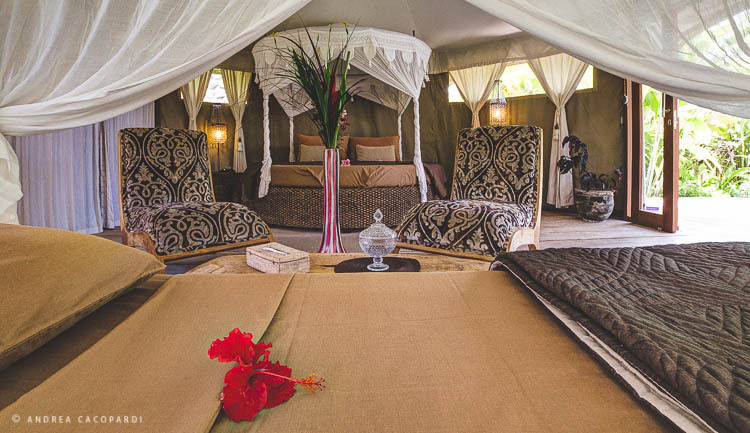 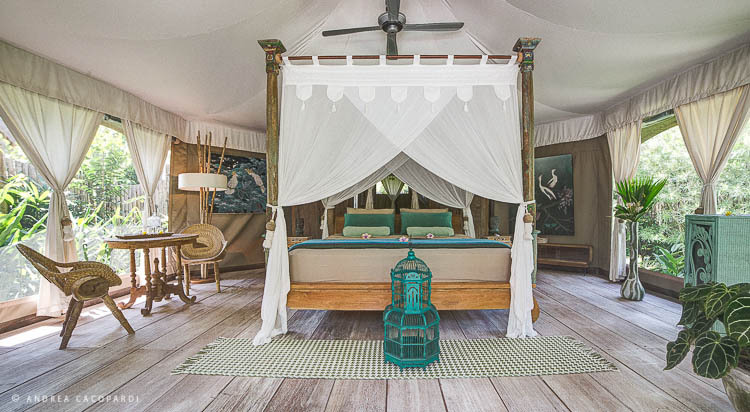 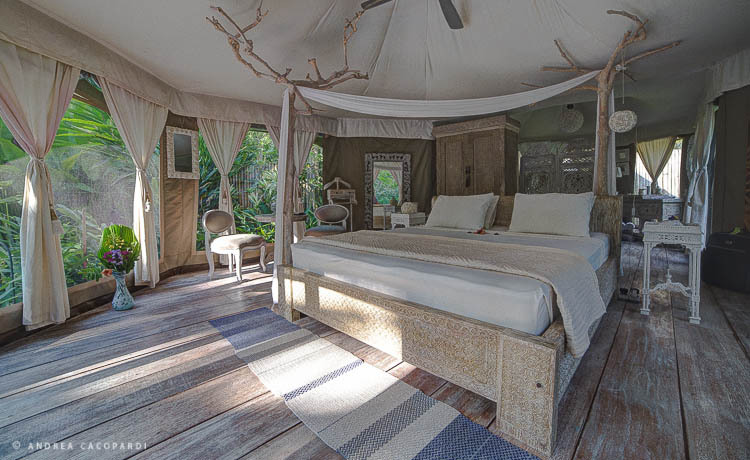 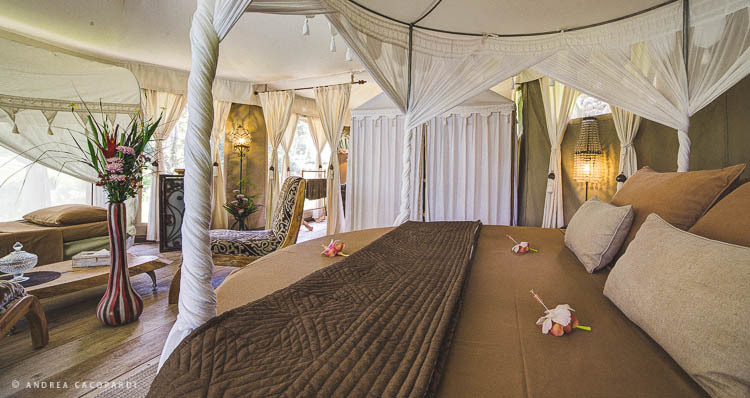 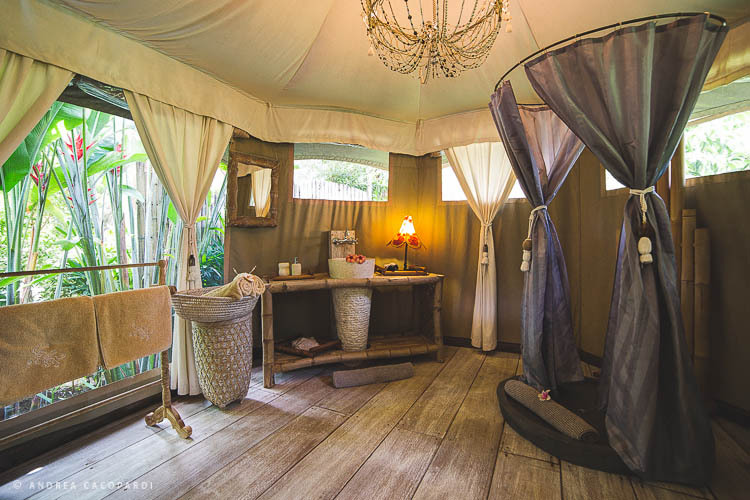 The concept is very original since these are tents all decorated and furnished with refinement and luxury. 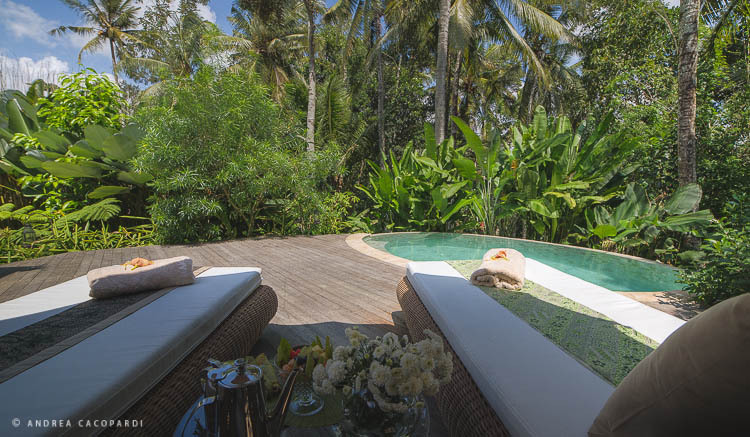 Rent this villa and live a dream experience in the heart of rice fields, you have a panoramic view 360 degrees on rice terraces. 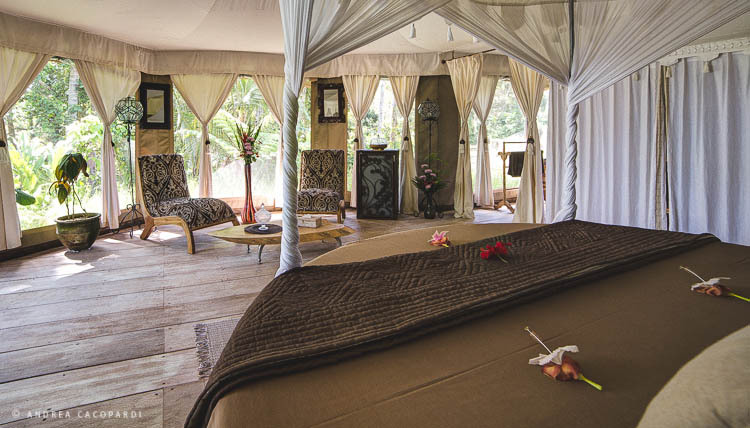 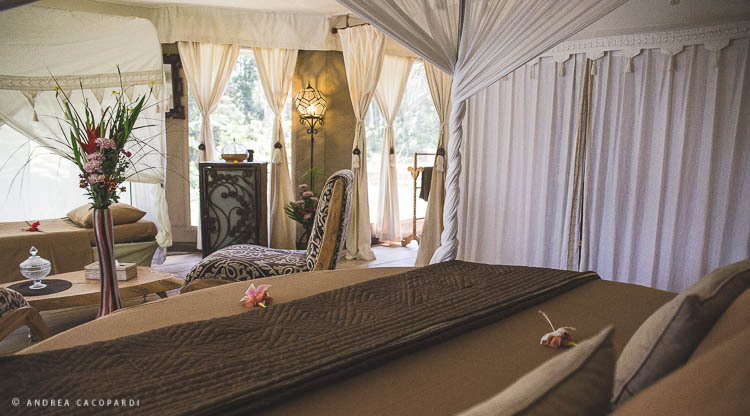 The suite consists of a 2.2m round bed, a bathroom, a swimming pool, a lounge area. 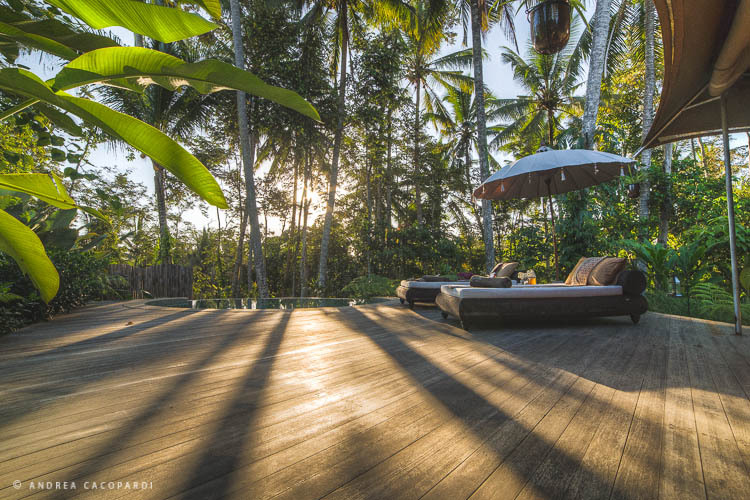 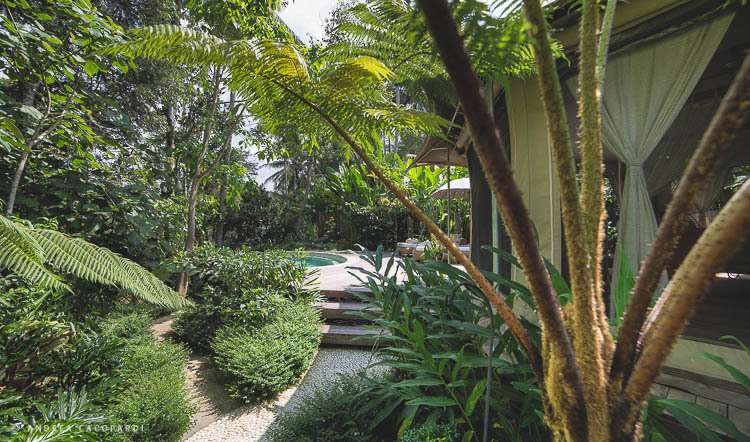 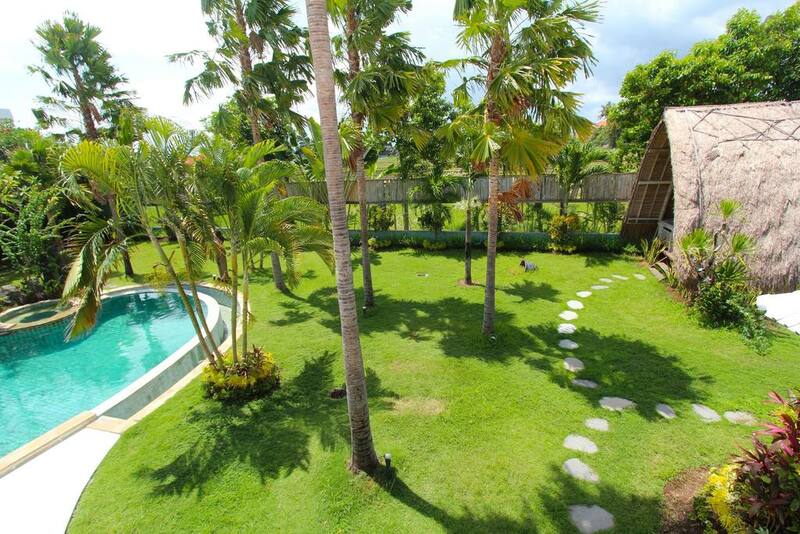 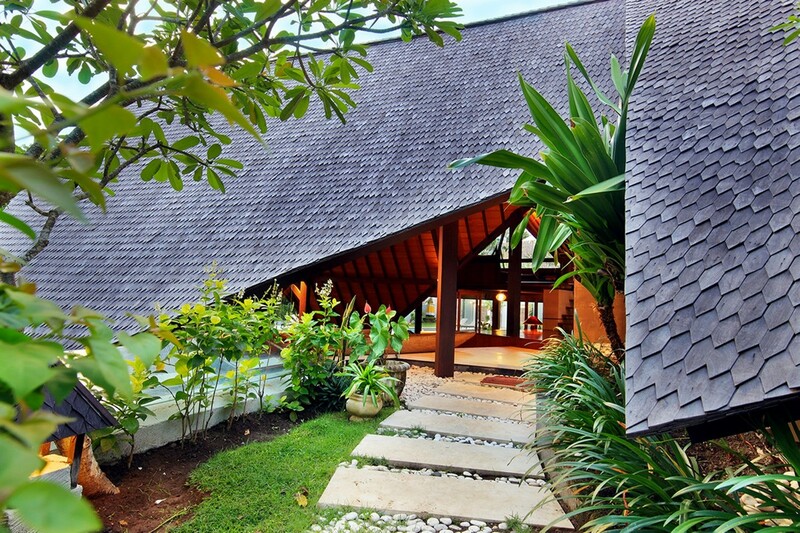 The rental of this luxury villa will allow you to relax and spend a holiday in peace in Bali. 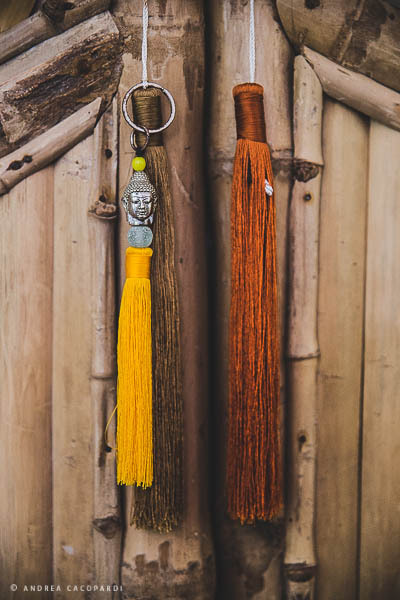 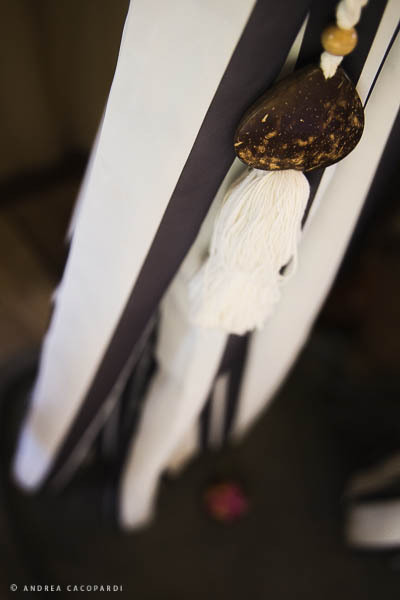 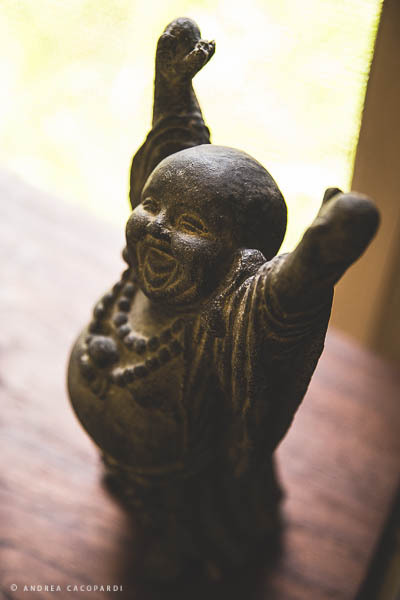 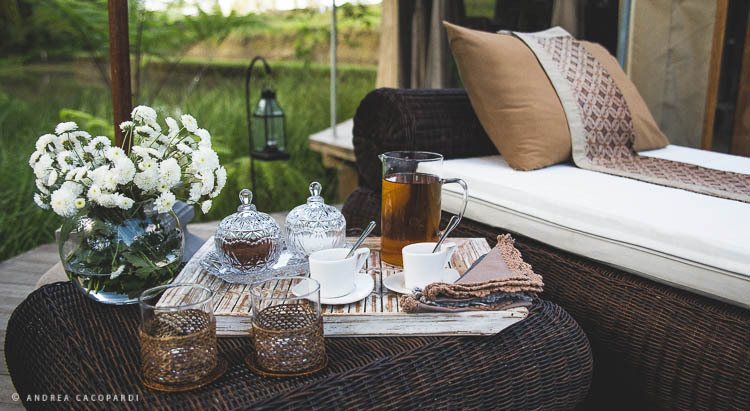 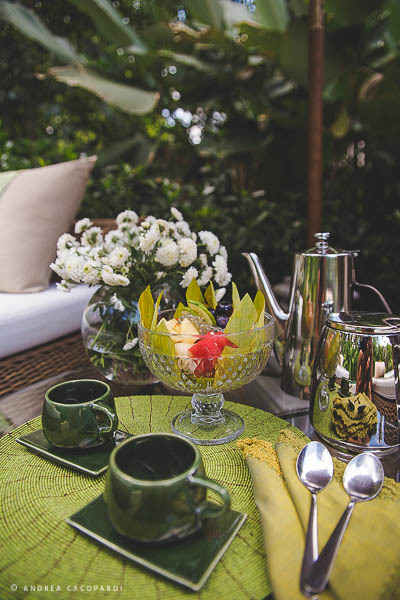 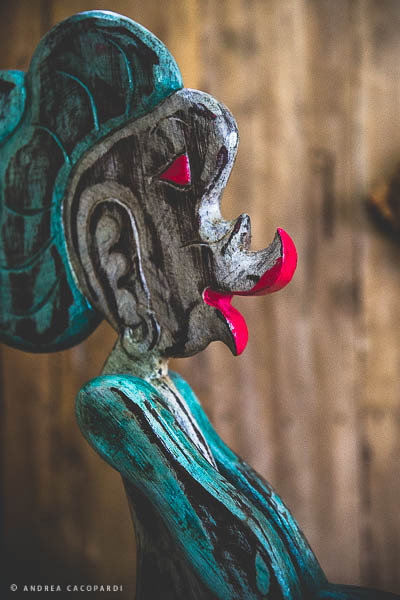 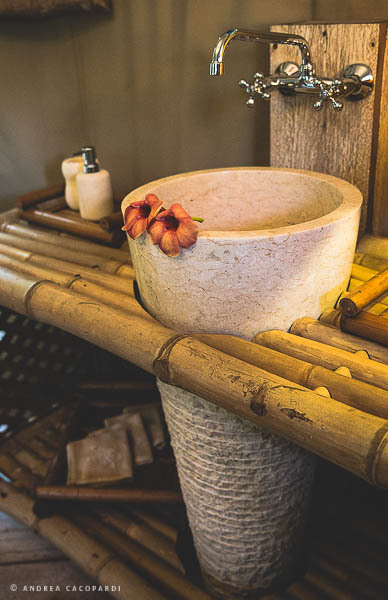 The services provided by the resort are plentiful; the price includes bus transfers from /to Ubud, a welcome drink, room service, breakfast, and tea in the afternoon. 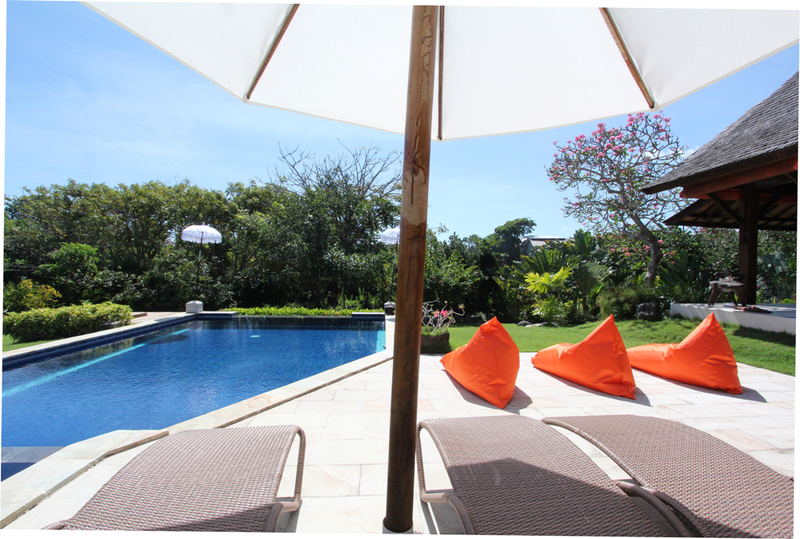 You will also have access to Wi-Fi, to speakers for iPod / iPhone, housekeeping. 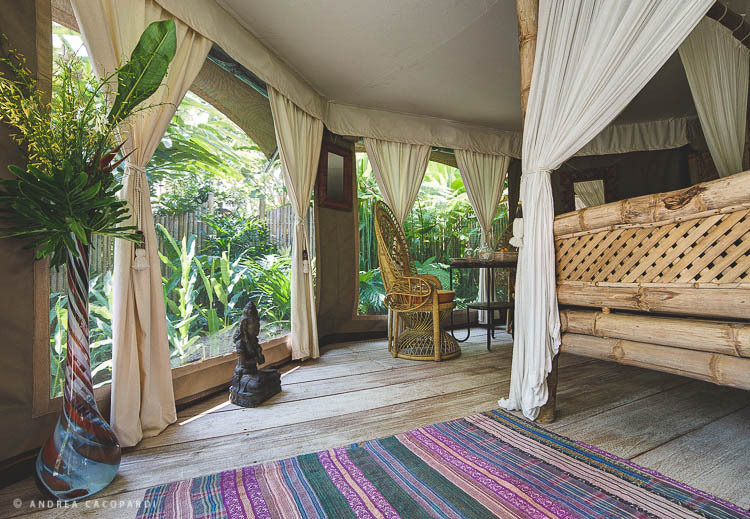 Upon request and with extra charge, you can have air conditioning and transfer to different destinations based on your desires. 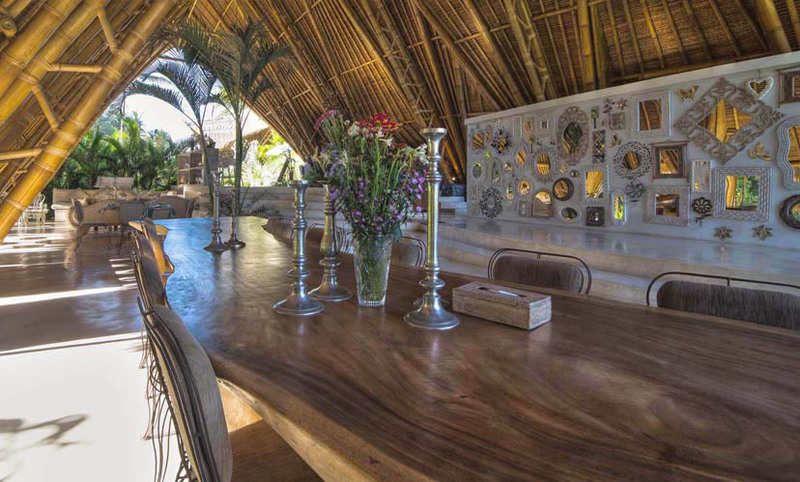 This villa rental will make you live a unique and magical experience at the heart of an exceptional environment. 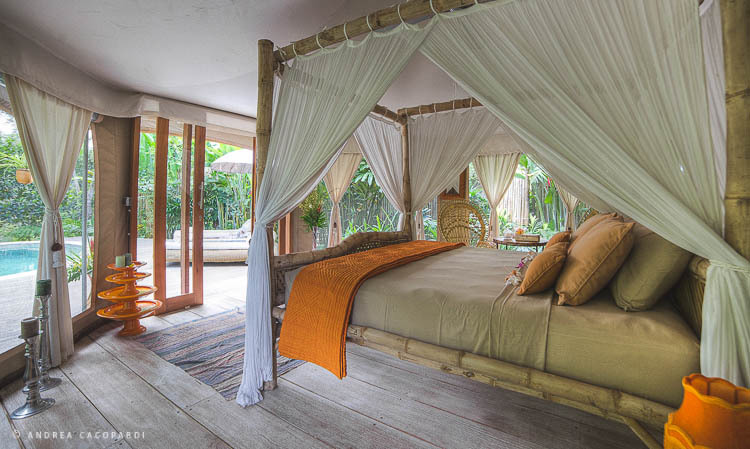 The suites are ideal for a couple on holidays in the island of Bali. 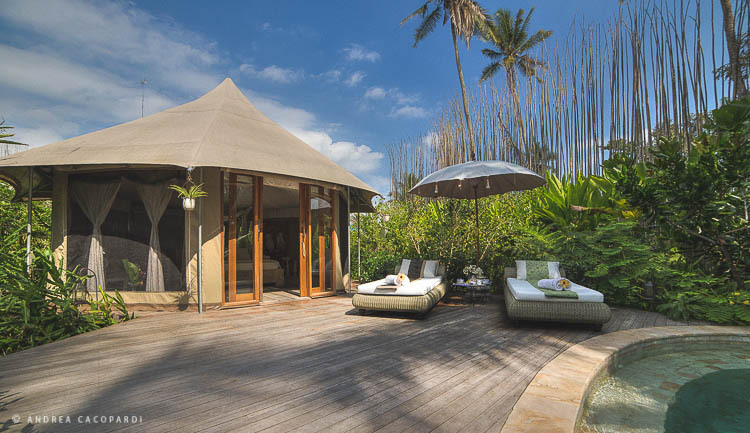 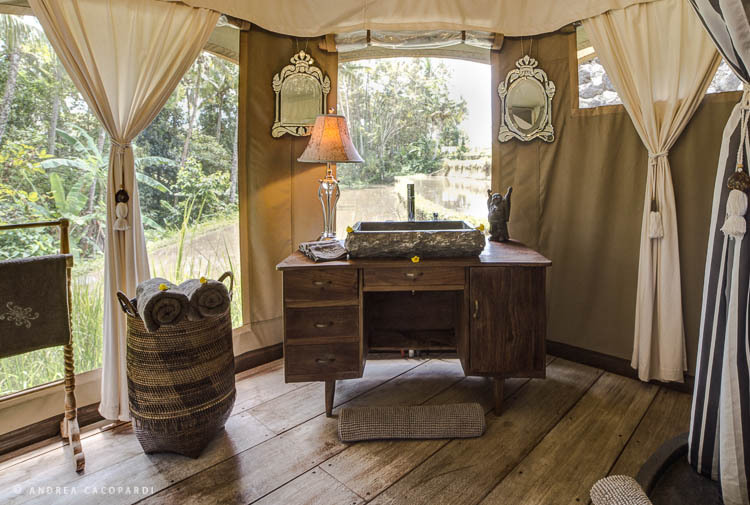 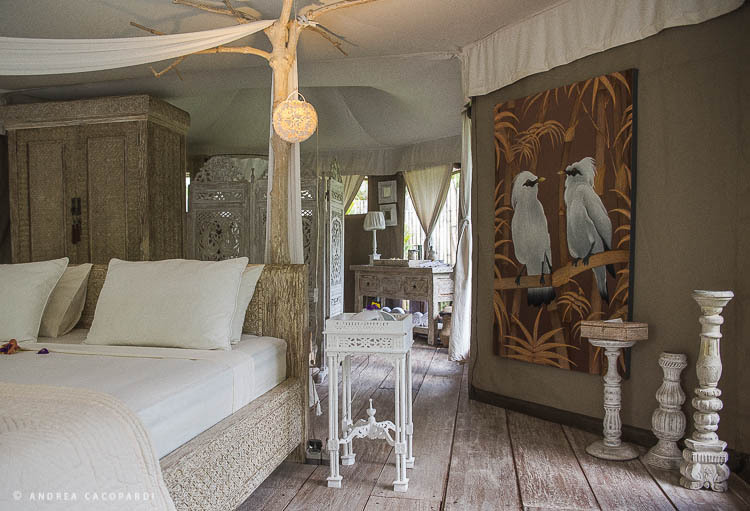 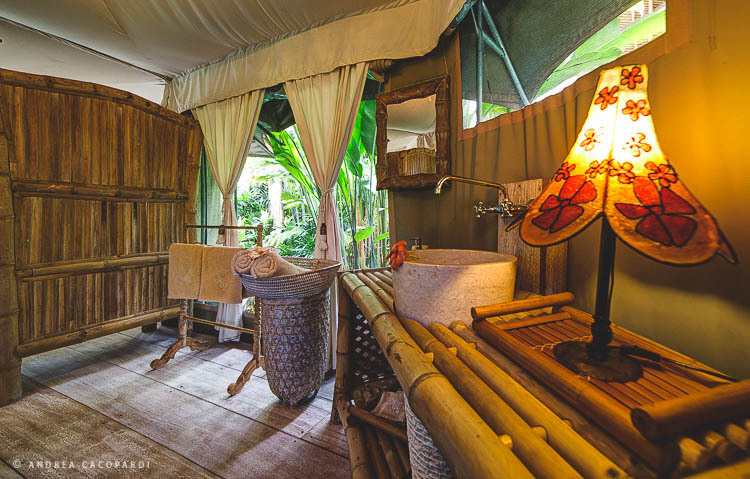 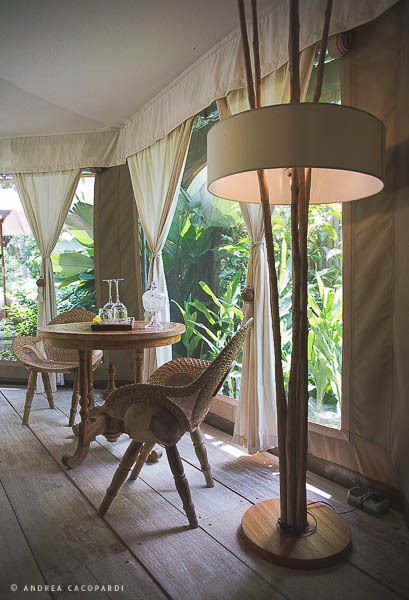 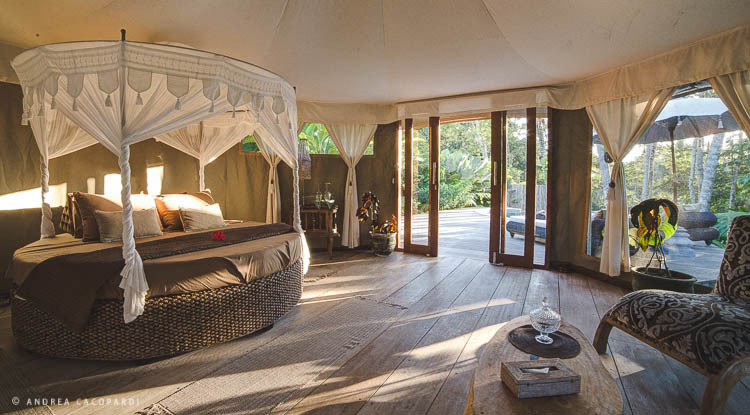 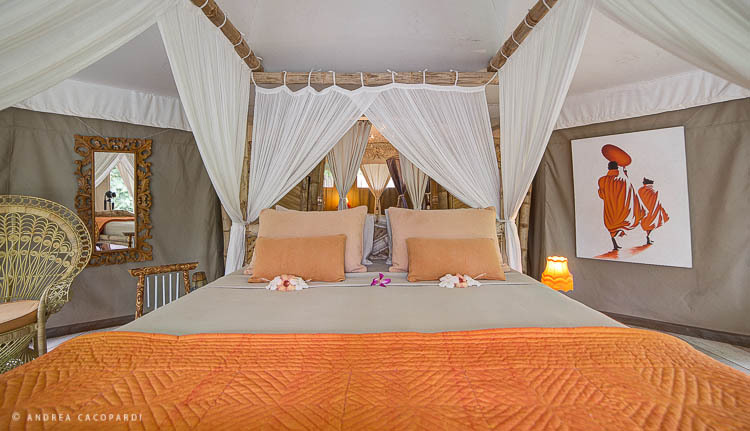 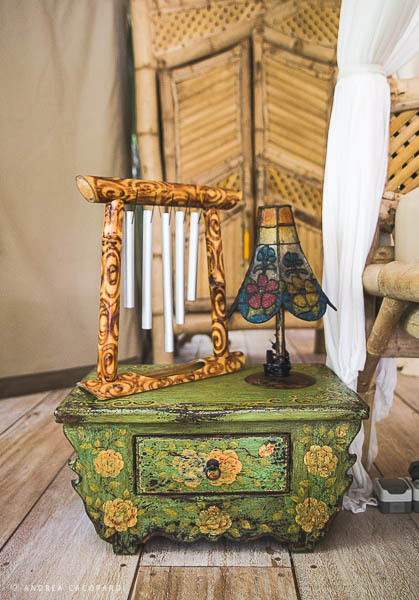 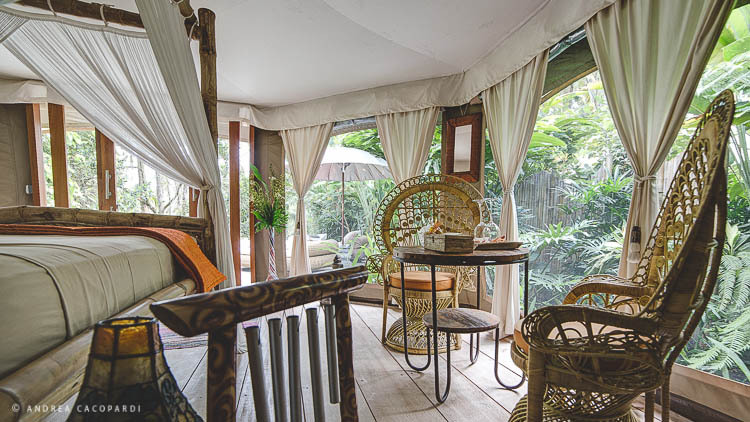 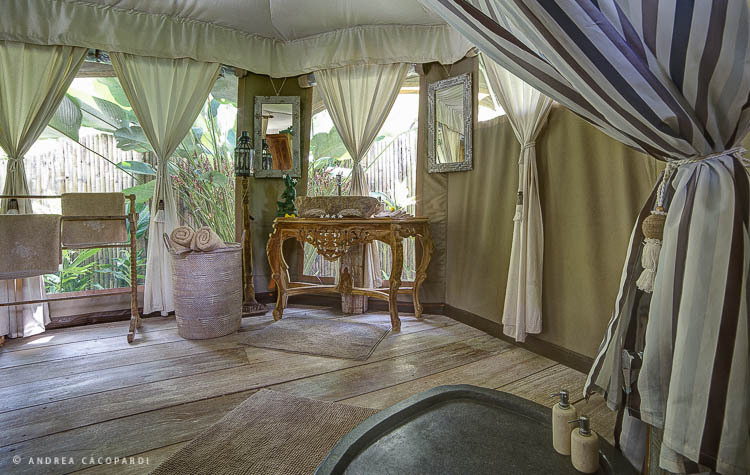 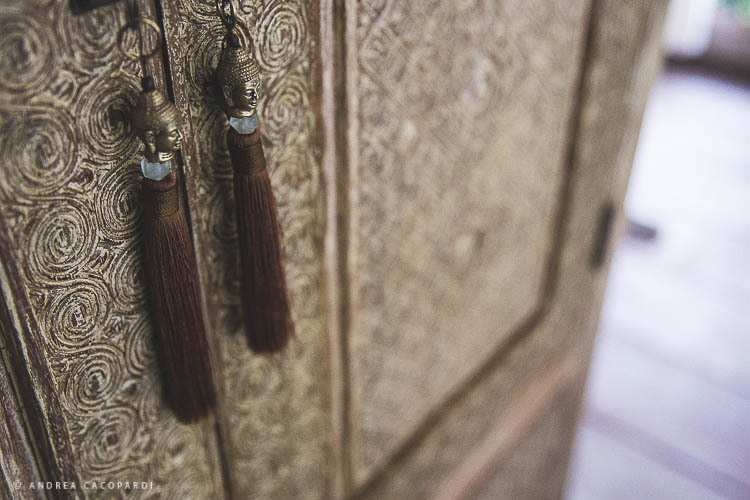 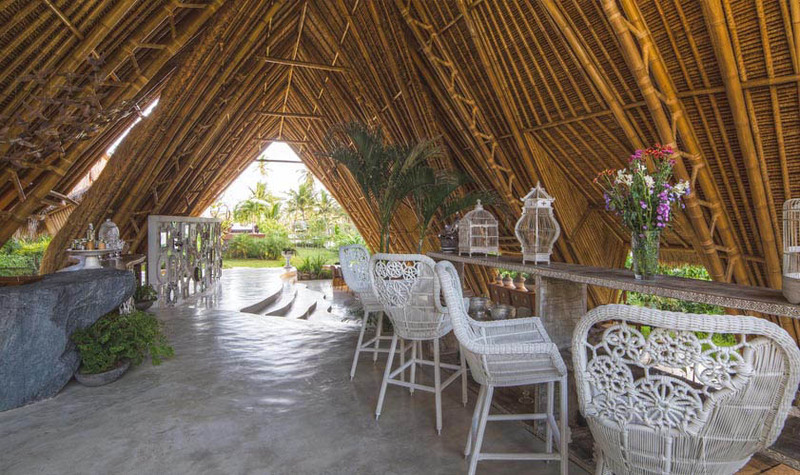 Do not hesitate, come and rent one of the suites Ubud Tenda.